Well, here's something new. Lady Gaga, the queen of all things dramatic and fabulously over-the-top, took some time out from donning lace bras and a shaved head to go the au naturale route instead. 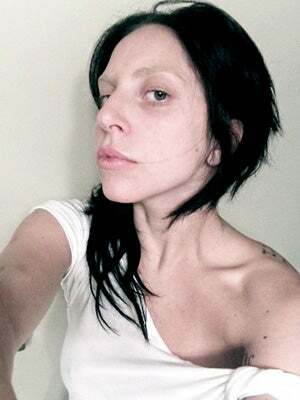 Mother Monster shared a pic of herself, fresh faced and makeup free, with a new jet-black hairstyle to boot. No doubt the singer is knee-deep in preparation for her new album, and cut down her primping routine in exchange for much more important duties. Gaga even shared some of her inner monologue with fans, giving insight to the effort it takes to put out a new album.